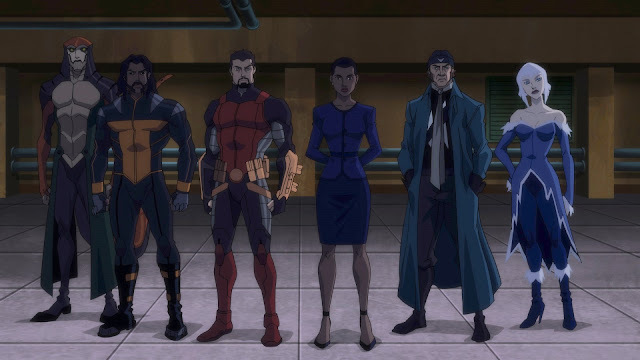 Task Force X Prepares to Depart in All-New Clip from "Suicide Squad: Hell To Pay"
Suicide Squad: Hell To Pay arrives tomorrow (April 10, 2018) from Warner Bros. Home Entertainment in 4K/Blu-ray/DVD. The film is currently available on Digital. Below is a fun clip that finds Task Force X about to begin their road trip ... in less-than-luxurious accommodations. The all-star cast is led by Christian Slater (Mr. 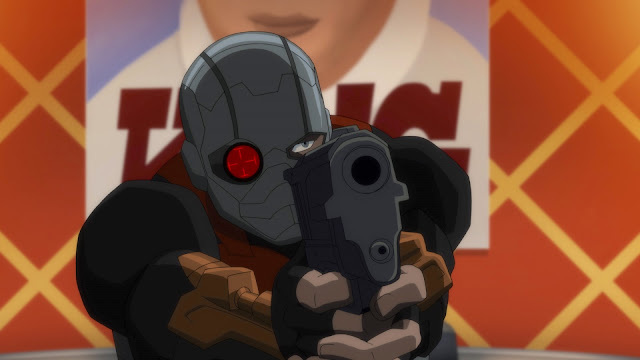 Robot, Archer, True Romance) in his DC Universe Movies debut as the voice of Deadshot, who heads “Task Force X” alongside Billy Brown (How To Get Away With Murder) as Bronze Tiger, Liam McIntyre (Spartacus: War of the Damned, The Flash) as Captain Boomerang, Kristin Bauer van Straten (True Blood, Once Upon a Time) as Killer Frost, Gideon Emery (Teen Wolf) as Copperhead, Tara Strong (Batman: The Killing Joke) as Harley Quinn and their “boss,” Vanessa Williams (Ugly Betty, Desperate Housewives) as Amanda Waller. Villainous forces in the film include C. Thomas Howell (Outcast, The Outsiders, Justice League: The Flashpoint Paradox) as Zoom, Dania Ramirez (Devious Maids, Heroes, Once Upon a Time) as Scandal Savage, James Urbaniak (Difficult People, The Venture Bros.) as Professor Pyg, Julie Nathanson (The Zeta Project, Beverly Hills 90210) as Silver Banshee and Jewelee, and Jim Pirri (Injustice 2) as Vandal Savage and Vertigo.